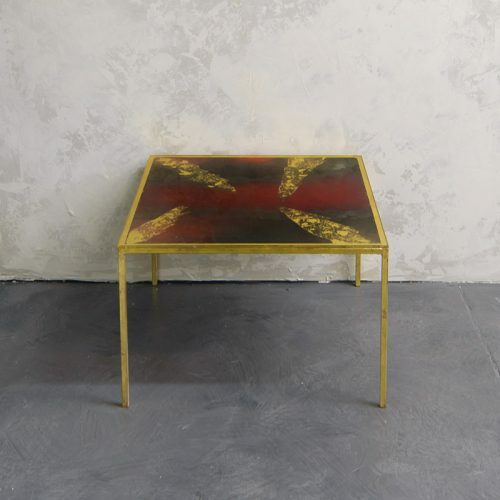 The Alpha Workshops is a full-service decorative arts studio based in New York that produces handmade wallpaper, lighting, tables, and custom artwork. Our work is available directly from us or through select to-the-trade showrooms. 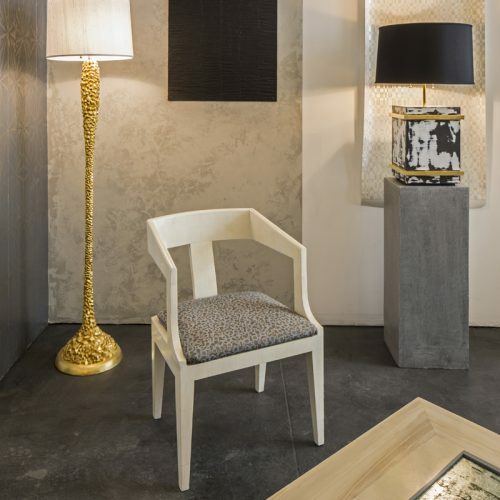 Our capabilities range from the development and application of plaster and painted finishes for residential and commercial interiors, to the fabrication and finishing of new furniture, to the creation of custom art installations. Our portfolio of projects includes Gracie Mansion, Time Inc., Lifetime Television, and the Prince George Hotel, among others. Handpainted wallpaper has been one of the Alpha Workshop’s signature products since it was first introduced in 2001. Inspiration for the Painted Papers Collection comes from the diverse life experiences of our artisans and their inherent exposure to the art and architecture of New York City. Our handpainted wallpaper is made-to-order and custom colorways are available for no additional charge. The gleaming pearlescent surfaces of our Texture Collection enliven walls with both radiance and elegance. To make the designs in our Texture Collection our artisans fold, crumple, and otherwise manipulate the ground paper to create unique surfaces which are then painted by hand. The Alpha Workshop’s simple and elegant furniture designs blend applied art with decades of interior design experience to create pieces of refined modesty and subtle luxury. 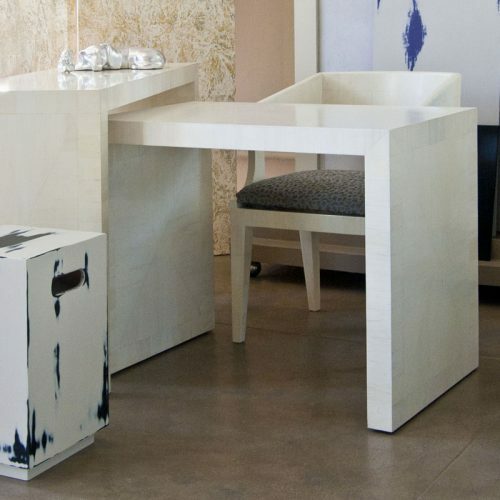 Alpha’s artisans incorporate a wide range of decorative arts techniques to create a vast assortment of furniture options ranging from charming side stools to sophisticated desks. Introduced in 2002, our lighting collection is inspired by distinguished designs developed by our talented artisans. Made in our New York studios using classical methods of casting, each lamp is hand finished and possesses its own distinctive beauty. HOW GREEN IS THE ALPHA WORKSHOPS? The Alpha Workshops was founded on the idea that design can work for the greater good. This guides all of the decision-making at Alpha where a do-no-harm approach informs our business choices as well as our training program. In producing our products and services, we make every effort to have a low impact on the environment. Our products are made by hand, using no large machinery. Our wallpaper installs with water-based pastes. 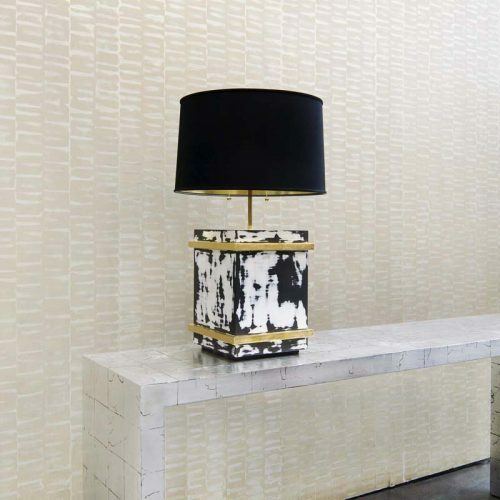 Our sourcing is as local as possible – our wallpaper and paint comes from a short distance away in New Jersey and our furniture is made in Brooklyn. We fundraise with the specific intention of bringing our products and services free of charge to not-for-profits improving the quality of life for their consumers. All of our products are made in in our New York studios.